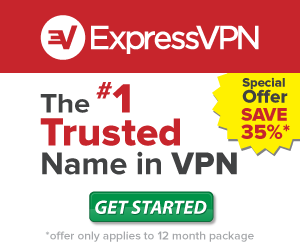 ExpressVPN is a Tier-1 VPN service that has been in existence for more than 5 years. Since 2009, the service has helped more than 150,000+ users from over 90 different countries to secure their privacy on the web. ExpressVPN delivers a fast and reliable privacy solution that doesn’t require any technical expertise whatsoever. Read on to find out how to save on ExpressVPN coupons or not. ExpressVPN does not accept coupons during checkout but we have partnered with their manage to offer Instant ExpressVPN Coupon for our readers. Just click on the redeem button or one of the banner ads, and all applicable discounts will automatically be applied to your account upon checkout. 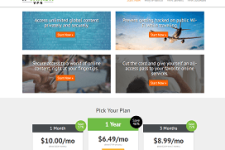 The ExpressVPN service usually costs $12.95 for 1 month. If you are willing to subscribe for a longer period then you can get better deals and save a lot of money. ExpressVPN does not offer quarterly plans at the moment but they have semi-annual and annual subscription options. 1) Get 35% Off On Annual Subscription – This is your best bet if want to save the maximum amount of money. With this offer, you can lock your privacy for a year for just $99.95. The average price works out to just $8.32 per month so you can save over $55 on the recurring monthly subscription costs. ExpressVPN is a premium service so this offer is great for travelers and expats who are going to be away for a long time. Remember, you don’t have to enter a coupon value at checkout to benefit from this offer; the discount is automatically applied to the final price. 2) Get 20% Off On Semi-annual Subscription – This offer may not seem like much of a money saving option but it’s still not a bad deal. Basically, you get 6 months of ExpressVPN protection for a one-time payment of $59.95. This works out to just $9.99 per month so you’ll save $17.75 and get 20% off on the regular price. Check out this deal if you are looking for a short term or seasonal subscription option. 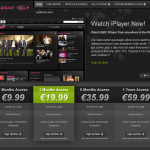 3) Monthly Offer – Currently there are no deals or promos available for the monthly users. When you subscribe to the monthly plan, you get access to all the amazing features of ExpressVPN for $12.95. This is not too high a price to pay for 100% security and privacy on the web. Try this option if you are going abroad for a short time or if you don’t mind paying every month. ExpressVPN usually does not offer special promos or deals but if this changes in the future, we will make sure to post them here. ExpressVPN has VPN gateways at many important American, European and Asian locations (60+ cities, 43 countries). The service provides an incredibly easy way to bypass all forms of surveillance and censorship as well as unlock premium content sites that are available only to American or European web users. The service even creates an impregnable shield around your Wi-Fi sessions thereby protecting your personal details from theft and misuse. 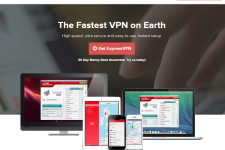 In case you need more information on ExpressVPN, check out our ExpressVPN review. Or visit: www.expressvpn.com.